Long ago, before the dawn of civilization, they were banished to the realm of nightmares. Now the terrors are real . . .
A generation ago, another Starship EnterpriseTM fought off a ship of exiled aliens intent on conquering all of the Alpha Quadrant. Starfleet thought the foe had been repelled forever -- until now. The Furies have returned in might warships even more powerful than before. But their weapons are more than merely physical, for these aliens are the origins of all the demons and monsters of ancient myth, and they have found a way to project fear directly into the minds of their enemies. 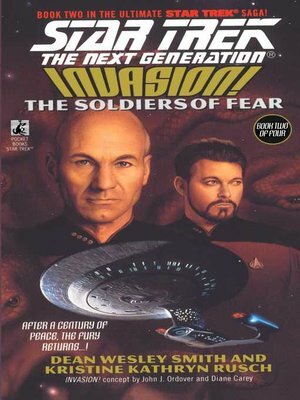 To defeat the Furies, and save the Federation, Picard and the crew of the U.S.S. EnterpriseTM must first conquer the darkest terrors of their unconscious minds.